On Saturday 8 August, our fourth and final popup promotion stand for 2015 Netball Season was held from 10am – 12pm at the Eastwood Ryde Netball Association (ERNA) courts at Meadowbank. 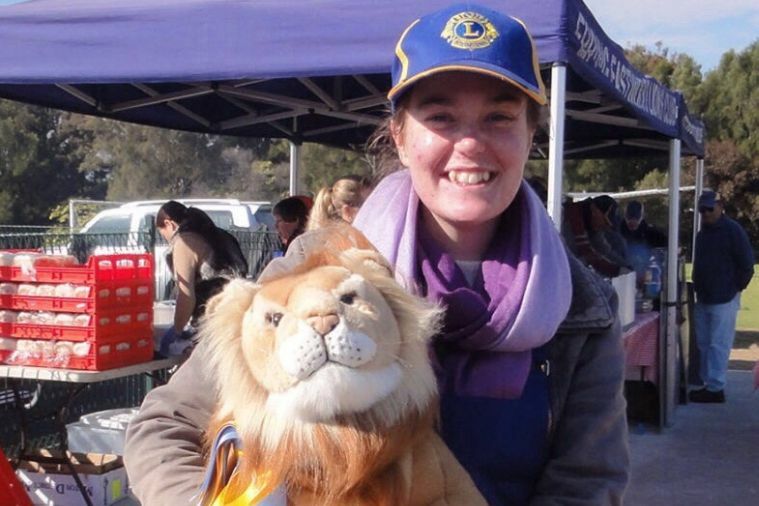 The stand, attended by Chris assisted by Kate, Larry and Jacob was successful and included sales of Lions Homemade products and raffle tickets. People queueing for the BBQ viewed the display board of our club’s projects, making inquiries and continuing to build the profile of our Lions Club in the community. Many Lions homemade jams and preserves were sold and available stock could not keep up with the demand for lemon butter and tomato relish. In addition, requests were made for apple jam, peach jam and mango chutney. Our Elliot the Lion Raffle again proved popular with the younger players receiving many pats on the head from the girls! Elliot did a a great job attracting people to the stand. At the end of the day, the raffle was drawn. Elliot was won by RG of Ryde who was informed by phone and delighted to hear of his win. Our successful morning was aided by ERNA’s Margaret who made several PA announcements about our stand. All in all, a good morning, bringing to a close our 2015 Membership Promotion at Meadowbank.